Since launching on Berwick St in May 2011, Independent Label Market has brought together the founders of over 180 of the World’s greatest independent record labels on both sides of the Atlantic to sell their fresh vinyl produce directly to the public at that traditional goods exchange – a market stall. As the music industry embraces mp3s and a more digital strategy, Independent Label Market is proving to be a valuable reminder of how music retail can be a social affair; people hanging out together as a community and buying records. 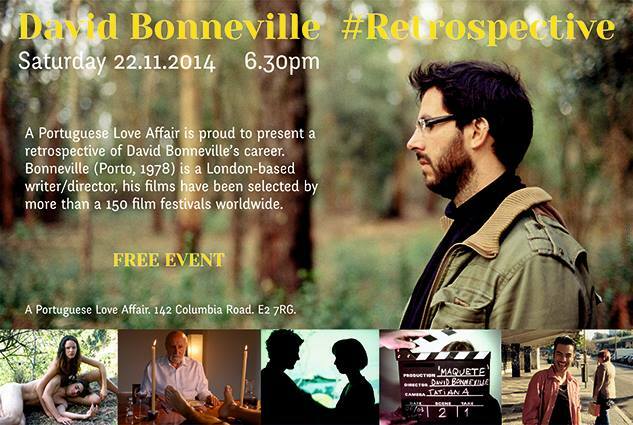 David Bonneville’s career retrospective takes place at the A Portuguese Love Affair with screenings of the portuguese director’s career as well as a Q&A session with the writer/director. After over ten years’ in the film industry, the London-based director has been featured on over 150 film festivals across the globe and received special honours and awards at Cannes, London, Toronto, Locarno and Brest and nominations at SXSW,Tampere and Palm Springs. Folie Ordinaire is a 6 piece band based in Durham. Their music is a mix of new wave, punk and electro disco and it is the perfect soundtrack to any Halloween plans. Watch them live at 93 Feet East on a ‘Bloody Halloween” special. The music starts at 9pm and if you get in before 11pm there’s free entry.